My daughter wanted to have her birthday at an escape room with friends. The owner was very accommodating for our large group and offered two rooms at the same time. We did the Jungle room and Game of Stones. All the teens had an amazing first time in an escape room. Amazing lobby and service A+++. All had fun and laughs even though they did not escape. Great memories and pictures. Will return again. 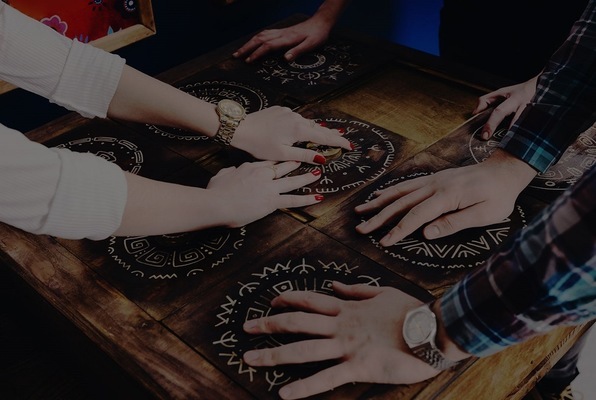 Hearing mysterious sounds of drums and animals, you and your friends get transported into the wild jungle as you enter a cave to play a puzzling board game. Roll the dice, find the clues to escape the dangers that lurk within or risk being trapped forever. With only 60 minutes of daylight left, will you return to the real world? 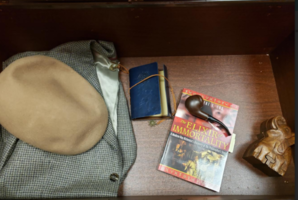 Reviews of escape game "Enter the Jungle"
An absolutely amazing experience! A full hour of puzzles to solve and escape! The owner and staff were amazing. Their attention to detail in the room and the well thought out puzzles kept our group energized and entertained for the full hour, escaping the Jungle with only a few minutes remaining. Tried this new escape room in Coconut Creek and they offered the Jungle room. Entering this room was like walking into a Jungle. We actually were able to play the board game and so much fun. Very challenging puzzles and critical thinking with communication skills needed for this room. Great for all especially enthusiasts. Highly recommend this room and business which is family owned who offered us VIP service and amazing decor. Going back to try their Game of Stones room.